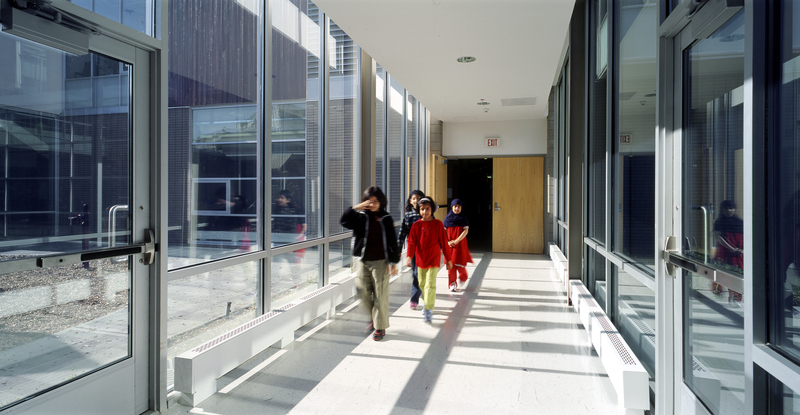 Thorncliffe Park Public School is one of the largest elementary school in North America. 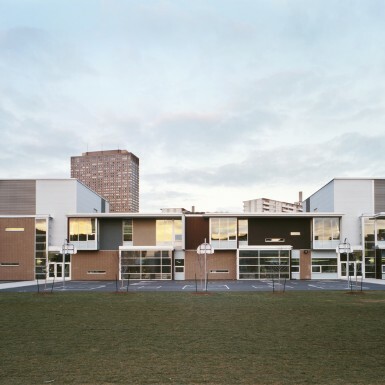 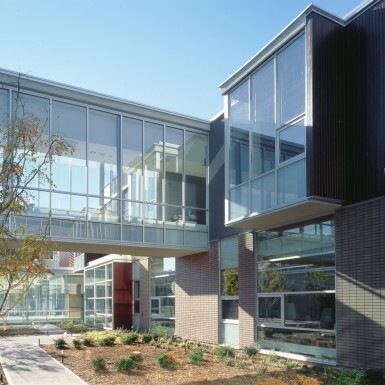 This major expansion to an existing Toronto public school in a dense urban neighbourhood accommodates close to 2,000 students. 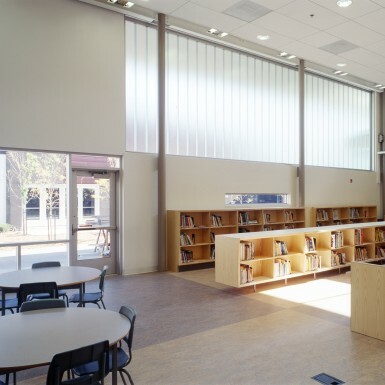 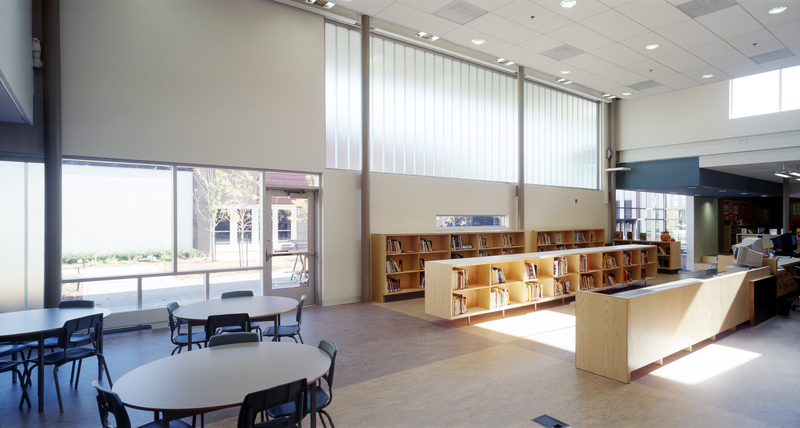 A significant challenge of the design was to create an educational environment that was finely scaled, welcoming, and in no way intimidating to its young users. 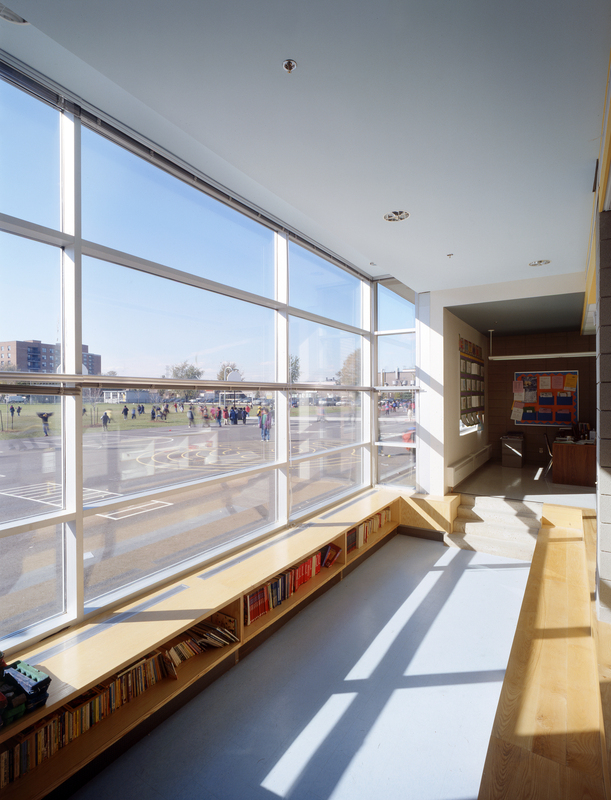 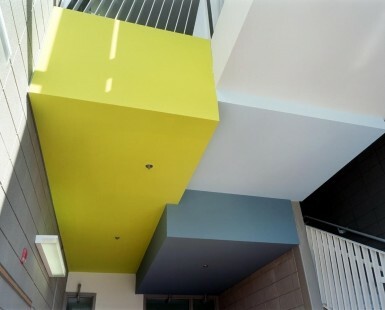 The primary motivation of the design was the creation of an enriched learning environment, filled with light, texture and colour. 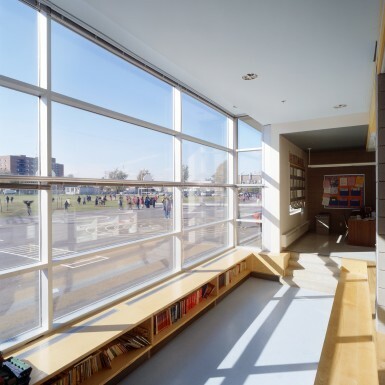 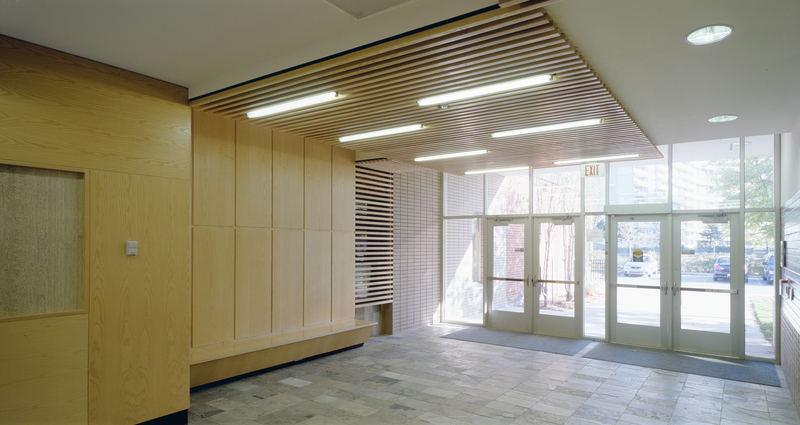 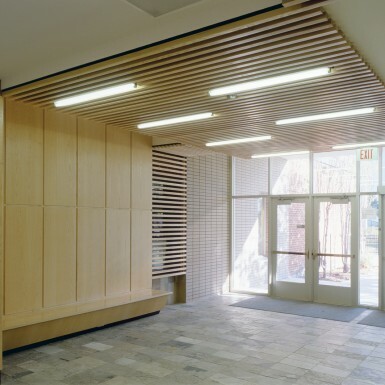 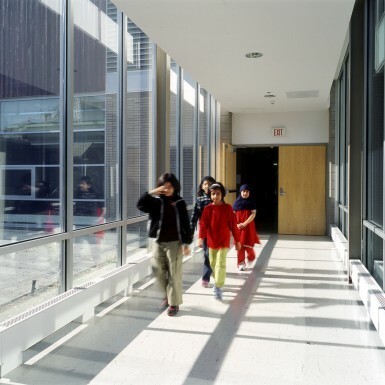 As children move through the school, they encounter an unfolding experience of views to long exterior gardens and brightly coloured shafts of light that penetrate through the floor plates of the school.